'So there it was. The archaic doors slammed behind me. An abrupt silence drowned out the noise. Thoughts of unease flooded my conscience, for I was alone, with a single way out.. 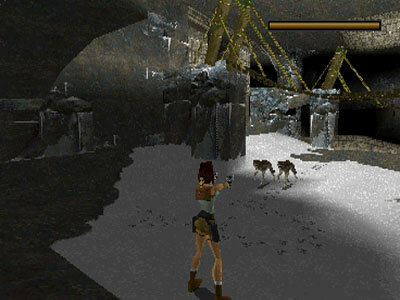 Released worldwide in November 1996 Lara Croft's Debut splashed into the gaming industry and made a lasting tide of success that has survived to this day. Whether it be her gender, her desirable degree of fitness, her head-turning attraction or her cold, fearless persona, Lara Croft went down in history and quickly became one of the most iconic female characters seen in the modern gaming industry, that's right! Since Lara's memorable inception, gaming's favourite heroine has made herself comfortable in over 35,000,000 homes, starred in 10 games (not including spinoffs) and even had the honour of Angelina Jolie play her in the two films. Regardless of how much the developers wish to see Lara go, she sticks around like a winner's pride. Not only has Lara seen numerous follow-ups to her 1996 debut, but she has seen remakes, reboots, movies, fashion merchandise, stories, comics and many more satisfying forms of brand-extension. If that list didn't teach you anything then know this: Lara Croft is huge. Lara is one of gaming's most successful characters, not only did she survive numerous tired continuations of the series, average movies, abysmal games (TR:AOD, I'm looking at you) and years of silence, but she also survived the infamous period in which multiplayer gaming excelled (2007-2012 - the time when console gamers had a taste of true competitive FPS multiplayer games) and single-player games were viewed as a thing of the past. Since then the market has settled and fortunately, Lara survived to return in top form in 2013's Tomb Raider reboot - available on the PS3, XBOX 360 and PC. When reviewing such an important character's rich history it would be unsavory to ignore her roots so without further ado, let's move onto Tomb Raider - the smash-hit title available on the Playstation, Sega Saturn, MS-DOS. I eagerly anticipated this moment, I had dreamt of it for weeks, it was finally here. Carefully, I uncaged the untamed beast within, this meant gingerly unwrapping the glove-like shrink-wrap with great care. It was done. Finally, I embraced the PS1's swansong in my wind-chilled hands, but back then I was unaware of how significant this franchise would become. Instead of petty speculation I stared in appreciation at the game's intricate cover-art featuring the undefeatable heroine herself, undeciphered egyptian hieroglyphs and an adventurous colour scheme. Upon inserting the adventurously green CD-rom into my Playstation my heart pounded with anticipation for I knew that in mere seconds I would be enjoying immersive sound, realistic graphics and addicting difficulty setting that were embodied onto this futuristic media-platform. A golden abyss emerged from the dark. A caramel serpent crawled over the sun-kissed sands. My mind was blown. A prompt 2 minutes later and I had reached the clearly-laid out interface that served as the game's menu. From this portal One had the ability to alter settings, embark on Lara's journey or do some training in Lara's beautiful British mansion. Despite conflicting views, my initiative took over and I decided to take the route to Lara's household. Following my selection, I was swiftly transported to a beautiful British manor house in which One could freely explore Lara's humble abode. The controls were a dream. Never before had I controlled such a flexible character on a home video games console; moreover, the graphics were phenomenal - for the first time I joyfully experienced an aesthetically pleasing, 3D world - this was the future of gaming. Following my brief introduction to Lara's world I returned to the main menu from which I chose to ignite Lara's journey. I opened up her journal, went through the necessary options to start anew and before I knew it I saw yet another cutscene - a gleaming representation of how brilliant this game's graphics truly were, my jaw dropped quicker than one of Lara's wasted foes. So there it was. The archaic doors slammed behind me. An abrupt silence drowned out the noise. Thoughts of unease flooded my conscience, for I was alone, with a single way out. There was no going back. Did Lara's fame become too much? 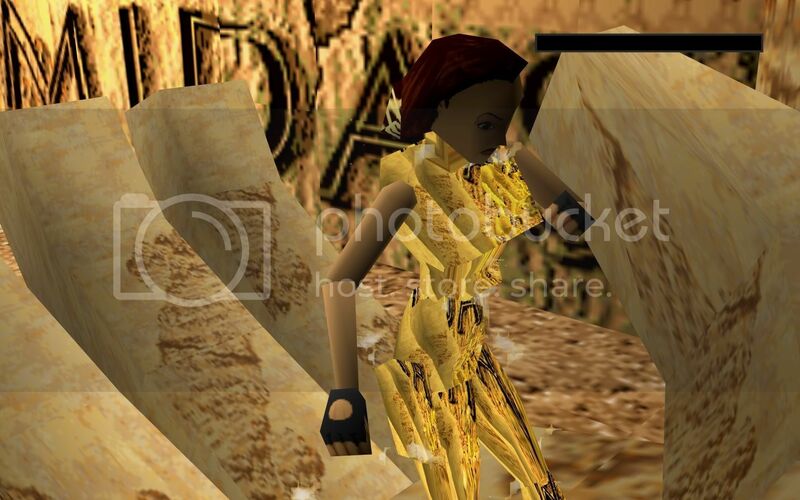 To this day Tomb Raider's impact can be seen. Currently holding a 91 Metacritic rating, the 1996 classic maintains its pride and proves to have survived the inevitable affects of ageing, proving to have made itself a modern classic in the world of gaming. Infact, Lara's debut was such a success that it is as playable today as it was 10 years ago, albeit a little more "tankier" than it did a decade ago due to modern games' fluency. If you haven't played Tomb Raider yet then One can only urge you to do so. Don't own a PS1? Play it on your PSP, PS Vita or PS3 bought from the Playstation Store. Don't own those? Buy the remake, Tomb Raider: Anniversary, an incredible remake faithful to the original available on current consoles. Like PS1 games? Buy a PS Vita now! The PS3, Two Decades On: How Will It Be Remembered? Playstation Exclusive "Agent" To Debut On PS4; E3 2013 Reveal? Mafia III At Gamescom 2015?